Lone said that a perception has been created in Kashmir as if the Congress has been a pro-Kashmir political party in the past. 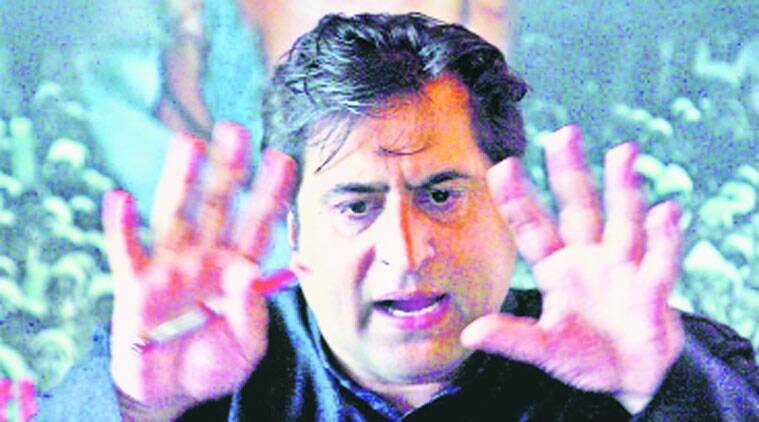 Signalling post-poll realignments in Jammu and Kashmir politics, Peoples Conference leader and once part of the separatist combine Sajjad Lone has sent a strong feeler to the BJP. Expressing his appreciation for the fact that RSS leader and BJP national general secretary Ram Madhav met him in Srinagar recently, he said: “The national party that dominated the political scene in Kashmir was Congress and they have confined themselves to Abdullah family and Mufti family. Here is the change. There is another national party which is in power and whose national leaders come to Kashmir and meet people like Sajjad Lone. This is why it seemed strange to people because it hasn’t happened earlier,’’ he said. “I have been in politics for 12 years and I have rarely met Congress leaders even socially. They were not interested in people like me. So if a national leader of BJP shows some respect, the least I can do is to reciprocate that”. Lone’s remarks come when the BJP, expecting a landslide in Jammu’s Hindu-majority areas, is working to establish a loose coalition of parties and individuals especially from among Muslims in the Kashmir Valley and Jammu’s hilly districts. Lone said that a perception has been created in Kashmir as if the Congress has been a pro-Kashmir political party in the past. “That’s not the reality. If I compare the Manmohan era with the Vajpayee era, Vajpayee was much more compassionate in his utterances and creative. During their rule, Congress was mechanical in approach and lacked any compassion. They lacked feeling,’’ he said. When asked how would he see the BJP’s overall politics vis-à-vis Muslims, he said that “it didn’t matter because Kashmir has its own problems”. “We cannot transfer national discourse to the regional discourse because then Kashmir will be the loser,’’ he said. “For us, the biggest question is whether Congress has a divine right to rule over J&K. For the last 12 years, they have been in power. They have been partners of every ruling alliance without any accountability. Let them also be accountable and take the share for what they have done”. Lone, who joined separatist politics soon after the assassination of his father, moderate Hurriyat leader, Abdul Gani Lone, unsuccessfully contested the 2009 parliamentary elections. Earlier, his party fielded proxy candidates during the 2002 assembly elections, an issue that had led to the split in separatist Hurriyat Conference. Though Sajjad Lone and his older brother Bilal Lone joined the Mirwaiz faction of the Hurriyat, Sajjad Lone left the separatists and contested the Lok Sabha elections in 2009. He had also talked about Muslim Kashmir and suggested that the Hindu majority districts in Jammu province can opt out and leave the state.